A guide to the music of Tom Zé. His professional musical career spanned half a century (and counting), though today many of his recordings are out of print — even in his native Brazil. What is available in the United States tends to skew toward his later recordings, which has the unfortunate effect of placing some of his finest material out of reach. His solo recordings are listed below divided into two time periods. His collaborations are listed separately — some being mere guest appearances while other are more extensive. Pursuant to the legend below, ratings are assigned to each, though Zé hardly has any bad releases so bear in mind these are just relative assessments. Links to other resources, including books and films, are provided at the end. Antonio José Santana Martins, who adopted the stage name Tom Zé, was born in the dry interior region of the Brazilian state of Bahia. He has described his hometown of Irará as “pre-Gutenbergian” (in reference to the inventor of the movable type printing press). His father won the lottery, which allowed his family to live comfortably in an otherwise poor and arid rural region. He moved to Salvador, the largest city in Bahia located along the Atlantic coast, to attend the University of Bahia. He studied music. He had an interest in composers like John Cage and Charles Ives. Although Brazil had a troubled legacy as a former Portuguese colony (and briefly was the seat of the Portuguese capital), and was the last country in the western hemisphere to ban slavery, social democratic president João Goulart made some modest reforms and the Brazilian universities recruited professors from Europe to bolster their musical (and other) programs. A military coup in 1964, supported by the United States, overthrew Goulart and installed a series of military “presidents” who ruled until 1985. Zé relocated to São Paulo, was associated with a collection of leftist intellectuals in the 1960s, and became part of the tropicália (A/K/A tropicalismo) movement, the most prominent members (tropicalistas) of which were mostly Bahian too. The (AI5) “coup within a coup” in 1968 brought harsher treatment of leftists and some of the tropicalistas. While considered a key part of tropicália, he also seemed outside it at the same time, never contained by its key precepts despite his obvious sympathies and contributions. His career faltered as the 1970s wore on. By the 1990s he was considering working at a gas station when he was approached by the U.S. musician David Byrne (of Talking Heads), who had come across a Zé record and later sought him out (with the help of Brazilian-raised musician Arto Lindsay) to sign him to a new label. Byrne was largely responsible for reviving Zé’s commercial career and introducing him to international audiences. 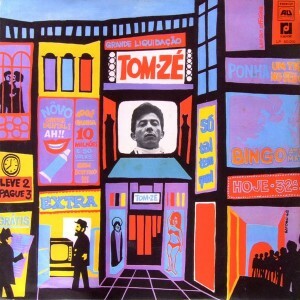 Though in many respects, Zé’s albums on Bryne’s Luaka Bop label are somewhat over-represented in English-speaking countries. 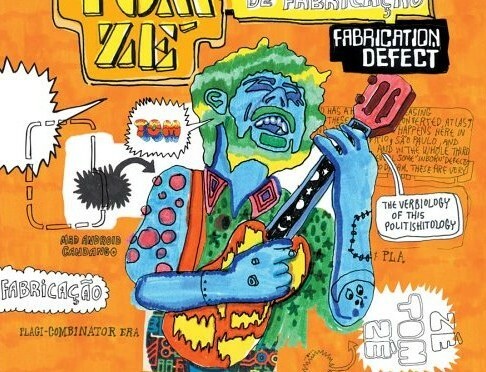 Caetano Veloso has described Zé’s tenaciously archaic yet inventive approach to music as “bizarrely elegant” and his attitude (reflected in his music too) as having an “ironic, distant sense of humor” that is “at once intimate and estranged[. ]” An incident on a plane that Veloso recounts is a fitting summary of a common effect of Zé’s music, when Zé made an absurd request for a particular drink (cachaça) on the plane, then, when it was not available, demanded the stewardess to stop the “caravel” (mid-flight) so he could leave, noting, “we were unnerved by the determination with which [the demand] was made, the sheer imposition of his will.” Veloso was impressed with how “the sincerity of [Zé’s] defiance exposed the absurd pretense of refinement” around him. This was in so many ways a fitting metanymn for the entire tropicália movement. Recurring themes in Zé’s music involve tilting against colonial legacies (in the sense of Frantz Fanon) and making demands that emerge from leftist ideologies deemed impossible in his own time. Zé considers himself a performer of limited means. He has referred to at least some of what he does as sung and spoken journalism. In the 1970s he experimented with what can be called a homemade sampler, and has long utilized homemade instruments (like Harry Partch, or Tom Waits in the mid-1980s and early 90s). After his comeback in the early 1990s, the influence of animated Brazilian folk dance musics from northern regions, like the forró and coco of Luiz Gonzaga and especially Jackson do Pandeiro, were more apparent in his own recordings. He continued working long after others would consider retirement. There is a tenacious sense of experimentation that is constant throughout Tom Zé’s career. He has toured internationally, though availability of his albums outside Brazil can be limited, even his most famous recordings. Tom Jobim was the songwriter of the bossa nova movement. 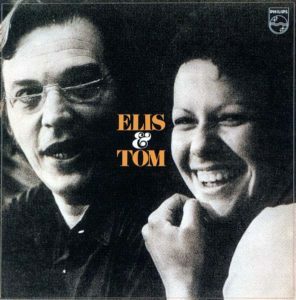 If the genre was always the bourgie version of samba, then Elis & Tom might be the very finest example of those tendencies. This is the album that the mediocre Francis Albert Sinatra & Antonio Carlos Jobim should have been. 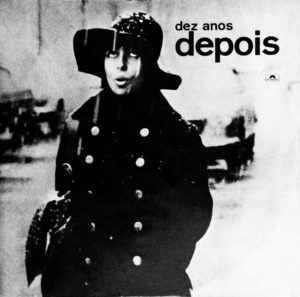 Elis Regina’s vocals exhibit many of the qualities valued by traditional pop. So her voice is perfectly suited to these treatments of classic Jobim songs set to decadent, refined and classy orchestration and warm electric keyboards. She is especially effective on the slower songs with string arrangements (“Modinha” etc.). And while Jobim’s keyboard playing still has some of the heavy-handed lounge jazz affectations of his past work (Wave, Stone Flower), those qualities are mostly held in check here. Anyone who doubts the range of the genre should listen to this alongside Dez anos depois, João Gilberto, and any of the slightly, lounge-y bossa nova records of the mid-1960s. Even as the same songs are re-worked again and again, there are new perspectives offered. Hardly the stuff of rigid formulas. Recorded in Los Angeles, this album looks back a bit. Regina saw working with Jobim on the album as a question of confronting a “sacred cow” of Brazilian music. This was a period in which Regina, nicknamed “furacão” (“hurricane”) for her mood swings and one of the the most popular Brazilian singers of all time (nearly as well-known as Carmen Miranda), shifted her music to be more political and critical of the Brazilian military junta. While recording the album, a Brazilian diplomat in L.A. screened Saul Landau & Haskell Wexler‘s documentary (with staged re-enactments) Brazil: A Report on Torture for Regina and Jobim. Screening the film lead to persecution of the diplomat, Jom Tob Azulay, by the junta. While nothing about these old songs is overtly political, the way the album looks back and celebrates the music of the pre-military dictatorship period is tacitly political in a very subtle way. Chega de saudade was an album credited as the being the very first in an entirely new genre: bossa nova. João Gilberto was the genre’s true master, the epitome of its cool, detached, laid-back qualities, with a voice perfectly suited to the music and an often-imitated but never duplicated style on the guitar. He is supported by some jazzy accompaniment. It is complementary. Yes, this is music of the well-off, but it is music of the most aware and sympathetic among them. In an era before the LP format really came into its own, this is one of the early milestones. It still sounds great more than a half-century later. His next few albums, though still good, lacked the utterly effortless cool achieved here. Then came international success with the excellent collaboration Getz / Gilberto. 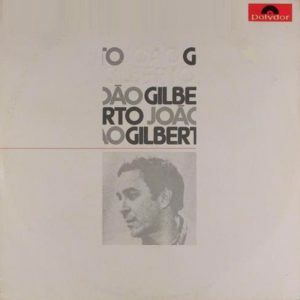 Also check out Gilberto’s arguably best album, the eponymous 1973 effort João Gilberto. Gilberto is considered the father of bossa nova. The style evolved out of samba, but with a minimalist aspect that used musical gestures to imply elements beyond the explicit content. There was less emphasis on rhythm and more on harmony and melody, drawing influence from jazz in some respects. His singing is almost a whisper, slightly nasal, and is free of vibrato. Bossa nova emerged in the 1950s (some claim the scene coalesced in the living room of Nara Leão‘s parents’ home). It was music of the bourgeoisie, popular among the college-educated, with an emphasis on introverted, existential and personal obstacles. It became an international craze in the 1960s. Yet by the early 1970s, bossa nova had ceded popularity in Brazil and the rest of the world to other styles. The Brazilian junta was in power, and under President Médici the economically polarizing “Brazilian Miracle” was underway, punctuated by the 1973 oil shock. In the United States, the Powell Memo had recently been published and the neoliberal era was finding its feet. The Gang of Four was still leading China’s Cultural Revolution, but President Richard Nixon had met with Premier Zhou Enlai the year before — Nixon had already a few years earlier met with Elvis and gave him a a badge from the Bureau of Narcotics and Dangerous Drugs. It was chaos everywhere. The timing was perfect for a resurgent Gilberto. 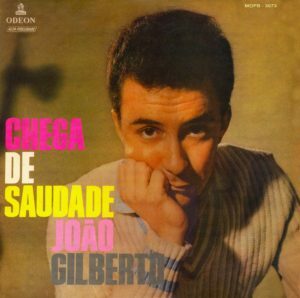 The album comes across as Gilberto performing solo. Nonetheless, Sonny Carr appears regularly on light and gentle percussion, and Miúcha (Gilberto’s wife or girlfriend at the time) provides vocals on one song. Like many Brazilian musicians, Gilberto had multiple self-titled releases. This one is sometimes dubbed the “white album”. 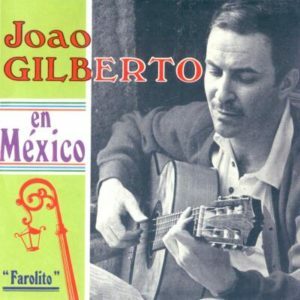 The oft reclusive Gilberto had lived in the United States through much of the 1960s, then moved to Mexico for about two years, and then moved back to the United States where he lived at the time this album was recorded, supposedly in New Jersey; he returned to Brazil in 1980. In many ways, this is a flawless album, as much as such a thing is possible. Gilberto has a lightness to his voice and guitar playing that speaks to the resilience of inner resolve. The recording fidelity is excellent (Wendy Carlos served as the recording engineer and Rachel Elkind the producer). If the sunny existentialism of bossa nova was always one of its defining and most appealing features, this is an album that confirms relevance beyond its faddish commercial peak. The opener is Antônio Carlos Jobim‘s “Águas de Março” (“The Waters of March”), one of the most highly acclaimed Brazilian songs of its time, performed with a placid, self-content attitude toward the meaningless cycles of nature and the seasons and fully embracing the arbitrary, stream-of-consciousness wordplay of the lyrics. It is followed by Gilberto’s own “Undiú,” with mostly wordless vocalizations and singing that approaches guttural-sounding throat singing. This leans toward a Zen-like attitude, contemplating the universe and offering statements outside language. “Eu quero um samba” opens side two of the original LP, and has some of the most insistent guitar playing on the whole album, bolstered by Carr’s lightly tapped percussion. Despite the minimalist instrumentation, there is much happening on this album, which is tinged with nostalgia and sentimentality (a song about Gilberto’s young daughter, “Valsa (Como são Lindos os Youguis) (Bebel),” and a version of Gilberto Gil‘s “Eu Vim da Bahia” [“I Came From Bahia”]), yet also dry and aloof as well, with the vibrato-less vocals and a sometimes cloistered attitude. “the danger today is not passivity but pseudo-activity, the urge to ‘be active,’ to ‘participate,’ in order to mask the vacuity of what goes on. People intervene all the time. People ‘do something.’ Academics participate in meaningless debates, and so on. The truly difficult thing is to step back, to withdraw.” (On Clinton, Trump and the Left’s Dilemma). If the Brazilian tropicalistas sought a new internationalism in the late 1960s and early 70s, João Gilberto’s music here was substantively taking another tack, and yet making João Gilberto in the United States with electronic music pioneers hardly seems lacking in internationalism… The key to it all is the reaffirmation of everything that Gilberto’s music promised in the late 1950s, that not in spite of but because of everything that happened in the interim, the original vision of bossa nova was a vital and radically new historical event, proven through its repetition and a look back that shows its truly original worldview to have gone beyond its causes and influences, an achievement and social rupture that was somehow also impossible in its time. 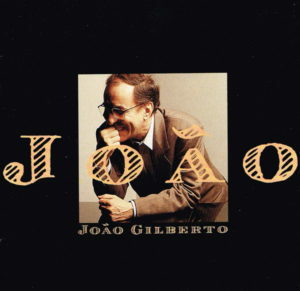 João Gilberto is an album that deserves a listen, or many.